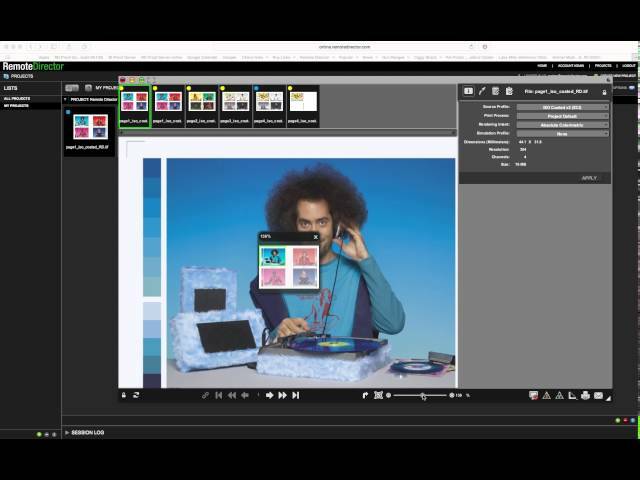 Remote Director is the leader in monitor proofing solutions – by combining all of the tools you need to create, view, markup and approve graphic assets on-line in a new browser-based application. 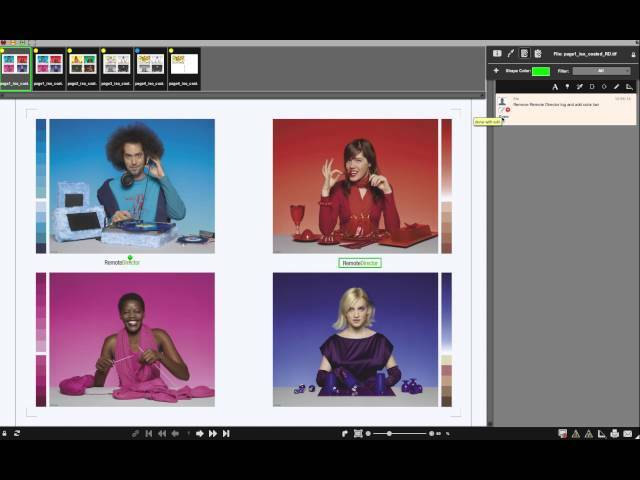 You can move to a 100% digital workflow and simplify client interaction while increasing color accuracy with the new Remote Director. Remote Director is the leader in monitor proofing solutions and combines all of the tools you need to create, view, markup and approve graphic assets on-line in a new browser-based application. 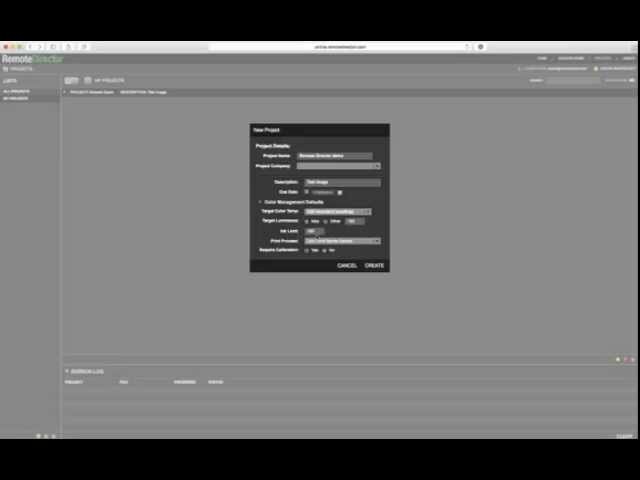 You can move to a 100% digital workflow and simplify client interaction while increasing color accuracy with the new Remote Director. If you are interested in Remote Director, let us know and we'll make you a quote. With Remote Director you can connect with customers or suppliers anywhere in the world. Eliminate time and geography barriers, and never wait for the overnight service again! 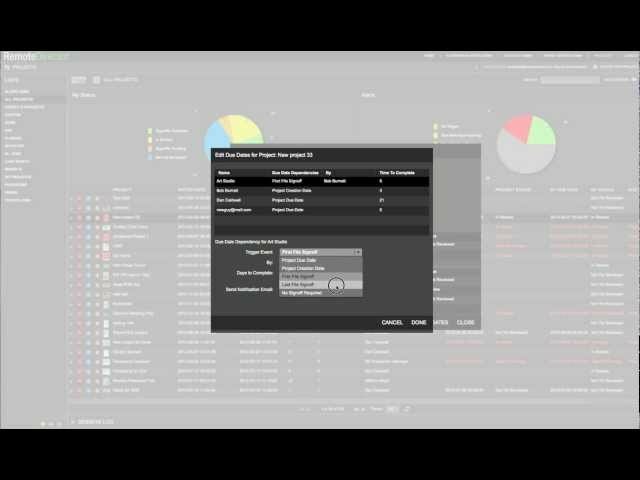 Remote Director’s patented L* monitor profiling provides simple “one-click” calibration and on-line verification that all users are viewing color precisely. The new Remote Director was built for ease of use. Role-based user permissions provide sophisticated tools for power users, while clients and non-technical users are presented with a streamlined and familiar browser-based interface. Remote Director is the only color-accurate monitor proofing solution available on Mac and Windows, using standard off-the-shelf hardware. Choose your own combination of supported monitors and hardware and design the system that meets your budget targets and your quality requirements. 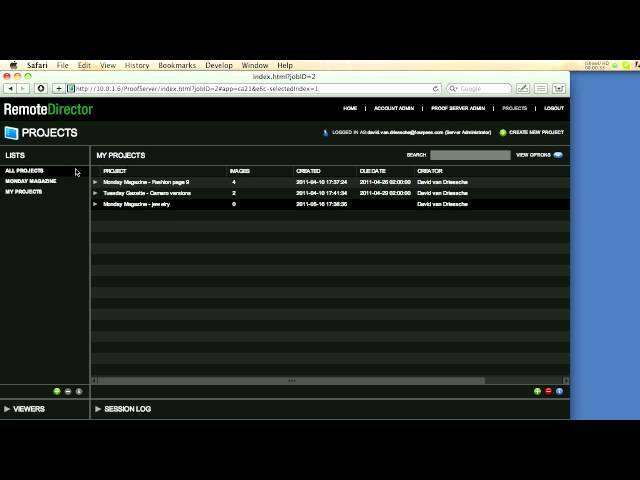 Remote Director can integrate with any existing workflow using the APIs in our Software Development Kits. Fully-automated proofing workflows are easy to implement with Remote Director Proof Server’s configured hot folder interface. Hot folders can be saved as templets, cloned and reused with changes. DE1414 - Compare Mode no longer misinterprets the image ID and which profile to load. DE1425 - Ensured that flex focus does not get lost when a project is opened. DE1441 - Scale to Fit now pays attention to file width as well as height. DE1442 - Reports printed from the Reports page can now include images. DE1452 - The Reports Page filter is now being respected by the Print code. 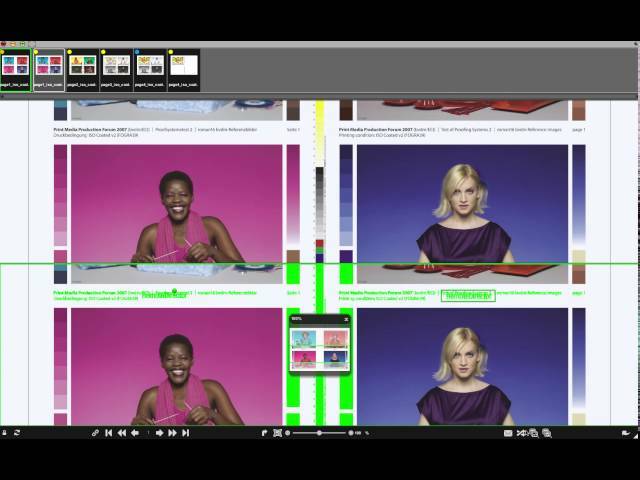 DE1454 - RGB and CMYK+Spot channel tiff files containing transparancy layers are now supported. DE1465 - When creating a Project, the Project Creator's Company is now loaded by default in the Company selection. DE1468 - Calibration status now reports the actual reasons for a monitor calibration status failure. DE1472 - Now writing the Calibration Interval parameter into the Server Preferences. DE1476 - Status entries and Note entries are now distinguishable by the Print code. The URL for the server is: is2.icscolor.com. Your email address is your login name and the server will send you a new password if you forgot yours. For those who have not logged in recently the proof you were invited to may have been deleted. If that is the case simply send an email to rdsupport@remotedirector.com and request to be invited to a new demo proof. We will create one and you will receive a link to it in your email. The "Support Options" section of the home page contains three new user guides that explain the new functionality in version 5.0. Creating annotations in Remote Director. Comparing images in Remote Director. Create a project and invite a viewer to review it. Reviewing proofs in Remote Director. 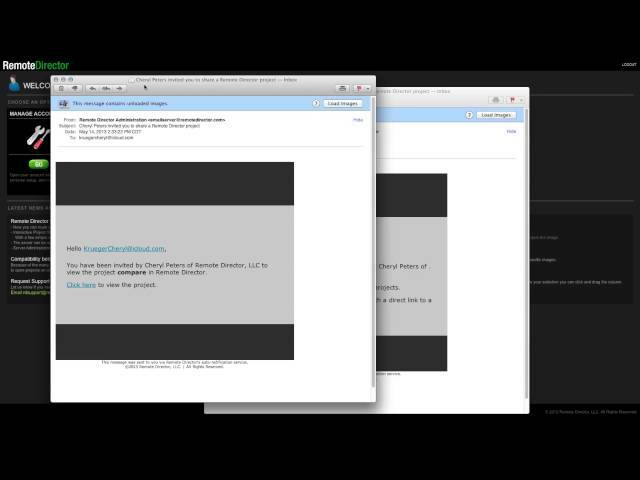 This video will walk you through registration and launching a proof via email communications. How to invite viewers and workgroups to a project and set their due dates. 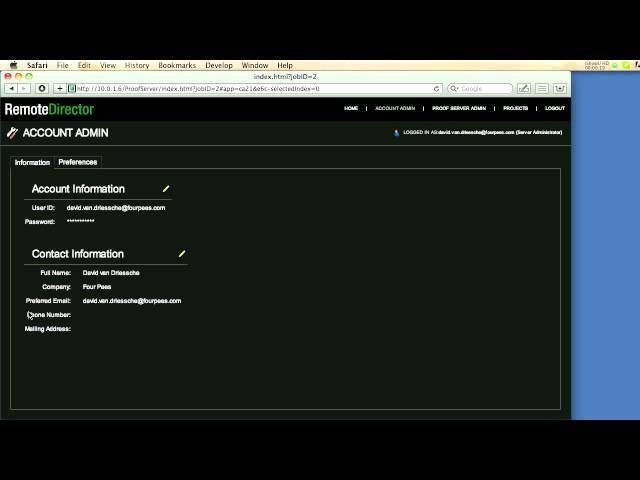 How to add users to the server and set their role and permissions. Managing projects in Remote Director. Setting preferences in Remote Director.